This knife/pivot hinge is designed for face frame applications with a 3/8" inset, rabbeted door. 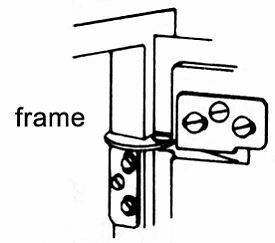 3/8" inset, free-swinging pivot hinge for 3/4 inch door thickness. Packaged in pairs and work for either left or right hand doors.